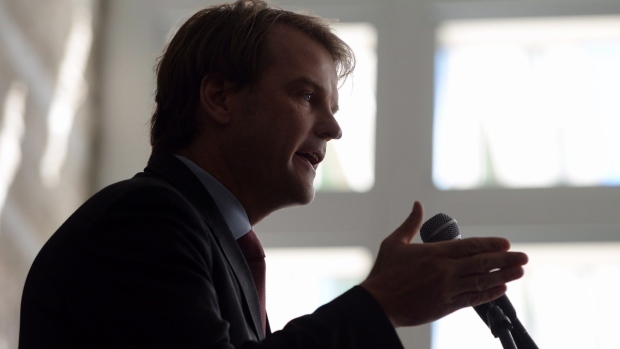 OTTAWA -- Immigration Minister Chris Alexander says Canada is contributing $50.7 million to the United Nations refugee agency for humanitarian assistance. Alexander says the money for the UN High Commissioner for Refugees will support efforts to improve health and living conditions, as well as protection, for refugees and internally displaced people in many regions. It's separate from previously announced Canadian aid for people hit by the crises in Syria and South Sudan. The announcement comes on World Refugee Day and after the UN agency said the number of refugees around the world has topped 50 million for the first time since the Second World War. Alexander says Canada is a world leader in providing help and haven for refugees. Furio De Angelis, the agency's representative in Canada, welcomed Alexander's announcement. "We are pleased that this funding announcement has come at a time when UNHCR is juggling a multitude of emergencies with rapidly growing challenges that are clearly outpacing available resources," De Angelis said in a statement. Alexander said Canada sympathizes with the plight of those displaced by war and other disasters. "We are committed to protecting and resettling refugees and displaced families, who continue to suffer because of conflict and civil unrest." Martin Fischer, a senior policy adviser at World Vision Canada, also welcomed the news. "At a time when the number of refugees worldwide is at its highest level since the end of the Second World War, the need to provide assistance to the most vulnerable has never been greater."